Successfully saved Creamy Pumpkin Pasta to your Calendar. You can also save the ingredients to your Grocery List. 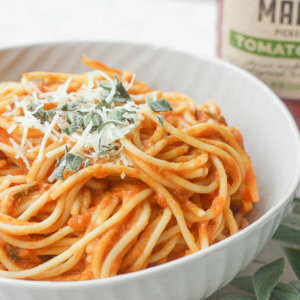 The perfect weeknight meal is born this fall when pumpkin, tomato sauce and sage come together to create a delicious, creamy pumpkin pasta!